The Inuit people of Labrador won the right to self-government in 2004 after settling a land claim agreement with the Newfoundland and Labrador government. The Settlement Area consists of 72,520 square kilometers of land in northern Labrador, which includes the five major Inuit communities of Nain, Hopedale, Rigolet, Makkovik, and Postville. The Nunatsiavut Government came into power as a result of the agreement and is now able to pass laws concerning education, health, and cultural affairs. The Inuit people of Labrador won the right to self-government in 2004 after settling a land claim agreement with the Newfoundland and Labrador government. Photographer unknown. Reproduced by the permission of the Maritime History Archive (PF-323.059), Memorial University, St. John's, NL. The Labrador land claim was the final one to cover Inuit in Canada and was the culmination of more than 15 years of negotiations. For generations leading up to the contract, Labrador's Inuit were engaged in an almost constant struggle to preserve their culture, language, and society against increasingly intrusive outside forces. Although that struggle has not yet ended, the land claim provides hope to many Inuit that they will now be better equipped to protect their traditional way of life. 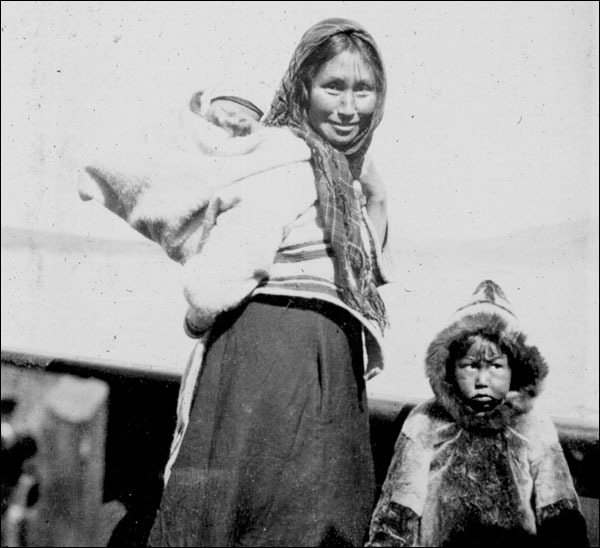 The Newfoundland and Labrador government had little formal contact with the Inuit people before the 20th century. Unlike many Canadian regions, trade between Aboriginal peoples and European settlers at Labrador did not evolve to the extent that it required formal legislation or significant government involvement. Moreover, Labrador was far removed from the centre of political activity at St. John's and providing services to its small scattered population would have been both difficult and costly. Instead, government officials delegated the day-to-day administration of Labrador affairs to religious groups and commercial trading companies in the area, the most prominent of which were the Moravian missionaries and Hudson's Bay Company (HBC). In 1935, the Commission of Government created the Newfoundland Ranger Force to police isolated and rural areas, including Labrador. Alongside enforcing game and other laws, rangers distributed government relief payments and acted as a link between local residents and government officials. The rangers' arrival was welcomed by many Labrador residents – fur prices plummeted during the Great Depression and the need for relief payments was immense. 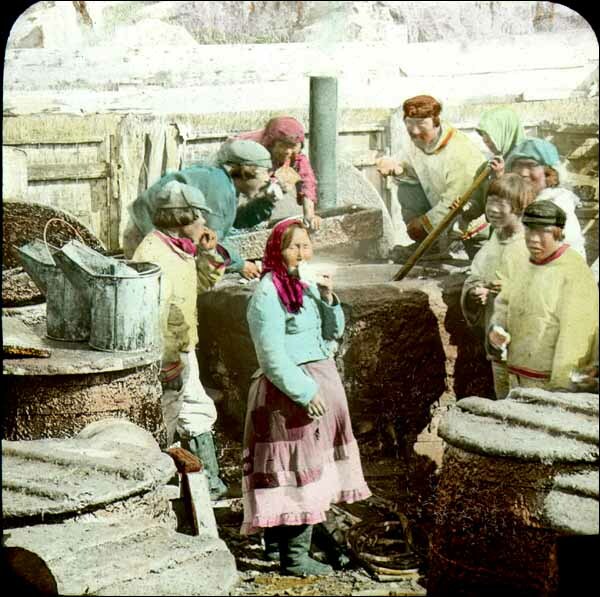 The Newfoundland and Labrador government had little formal contact with the Inuit people before the 20th century. Photographer unknown. Reproduced by the permission of the Maritime History Archive (PF-323.057), Memorial University, St. John's, NL. After the HBC withdrew operations from northern Labrador in the 1940s, the government assumed control of all company trading posts, placing it in closer contact with the Inuit people than ever before. At this time, and in contrast to Canada, the Newfoundland and Labrador government did not have any special agencies to deal with Aboriginal affairs, nor had it developed a system of reserves or land claim treaties with the Inuit, Innu, Mi'kmaq, or Southern Inuit people. In Canada, the Indian Act made the federal government financially responsible for the delivery of health, education, and other social services to much of its Aboriginal population. When Newfoundland and Labrador joined Canada in 1949, the two governments decided against extending the Act to the new province's Aboriginal population. Moreover, the Terms of Union did not even mention Aboriginal peoples, despite recommendations from National Convention delegates that the Canadian government accept full responsibility for the provision of social services to Newfoundland and Labrador's Aboriginal peoples, as it did for similar groups across the country. The reasons for this omission are unclear. Publicly, federal and provincial politicians argued that extending the Indian Act to the new province would disenfranchise its Aboriginal population – prior to Confederation, Newfoundland and Labrador granted equal status to all its residents; under the Indian Act, Aboriginal peoples would lose their right to vote. Some academics today, however, speculate the high costs of providing services in Labrador may have proved unattractive to politicians in Ottawa, while the Newfoundland and Labrador government may have worried that Aboriginals under federal care would receive a higher level of service than their non-Aboriginal neighbours, sparking tensions within the province. Whatever the reasoning, when Newfoundland and Labrador joined Canada in 1949, the province continued to administer the Aboriginal peoples, with the federal government providing various grants to help pay for services in Labrador. Under this arrangement, however, federal funding became available to all residents of eligible Labrador communities, instead of to the Aboriginal population. A number of Aboriginal political organizations formed across Canada in the 1970s to protect and promote Native concerns and cultural traditions. This was partly in response to a 1969 federal report (The Statement of the Government of Canada on Indian Policy) that suggested abolishing the Indian Act. The report generated much protest from Aboriginal peoples, who felt their treaty and other rights were under attack, and the federal government withdrew the document in 1971. In the report's wake, however, various political organizations formed to provide a unified voice for Aboriginal groups. Although the Indian Act, and therefore the 1969 report, did not directly affect Newfoundland and Labrador's population, publicity surrounding it encouraged local Aboriginal people to form similar groups to better protect their rights and cultural traditions from outside forces. Among these was the Labrador Inuit Association (LIA), which formed at Nain in 1973. Within 15 years of its formation, the association expanded to include the Labrador Inuit Development Corporation, which created jobs and focused on economic development for Inuit people, the OKâlaKatiget Society, which provided broadcasting services in Inuktitut and English for Inuit audiences, the Labrador Inuit Alcohol and Drug Abuse Program, and the Labrador Inuit Health Commission. The LIA filed a land claim with the provincial and federal governments in 1977 for about 116,000 square kilometers of land and sea in northern Labrador. Negotiations began in 1988 and successfully ended on 6 December 2004, when the provincial government passed the Labrador Inuit Land Claims Agreement Act. As a result of the act, Inuit in Labrador became a self-governing people and formed the Nunatsiavut Government on 1 December 2005. The land claim area is known as Nunatsiavut, which means “Our Beautiful Land” in Inuktitut, and consists of 72,520 square kilometers of land in northern Labrador and 48,690 square kilometers of sea. Of this, the Inuit people own 15,800 square kilometers of land outright and have special mineral, marine, and land rights in the remaining areas. The agreement also provided for the establishment of the Torngat Mountains National Park Reserve within the settlement area. The Nunatsiavut Government has the power to establish its own justice system and pass laws concerning land and resource management, education, health, culture, and language. The government's Legislative Assembly is based at Hopedale and its administrative centre at Nain. In addition, there are five Inuit Community Governments at Nain, Makkovik, Hopedale, Postville, and Rigolet. All adult Nunatsiavut residents, regardless of ancestry, are eligible to vote in elections, and because Nunatsiavut is still a part of Newfoundland and Labrador, its citizens have to pay provincial and federal taxes. As a result of the land claim agreement, the Inuit people now have more power than ever before to preserve their language, culture, land, and resources from outside threats. They can, for example, determine what is taught in their schools and in what language their children are instructed. As of 2008, the Nunatsiavut Government represents about 5,000 Inuit men and women.